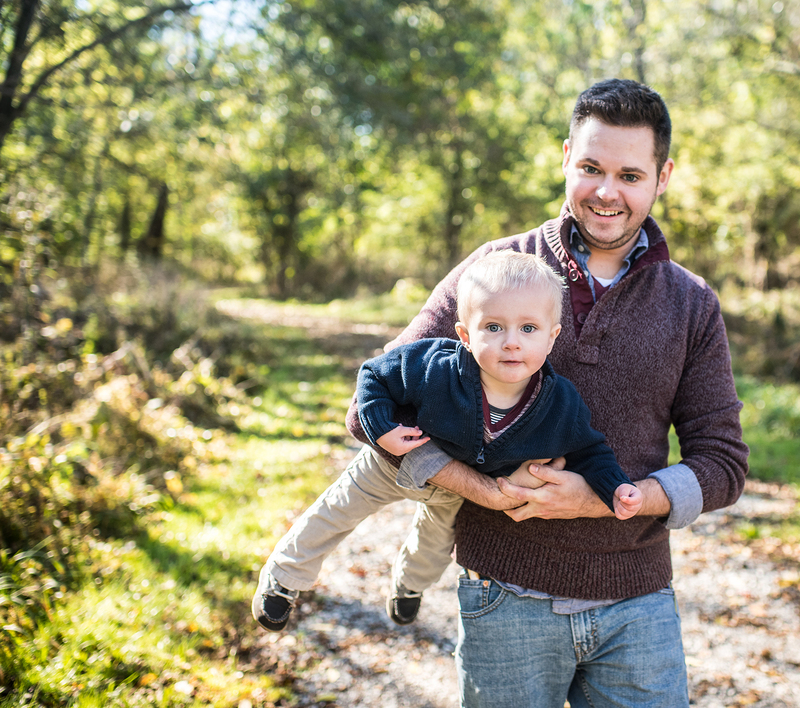 When it comes to saving money, or looking for value, my wife and I consider ourselves to be pretty thrifty. 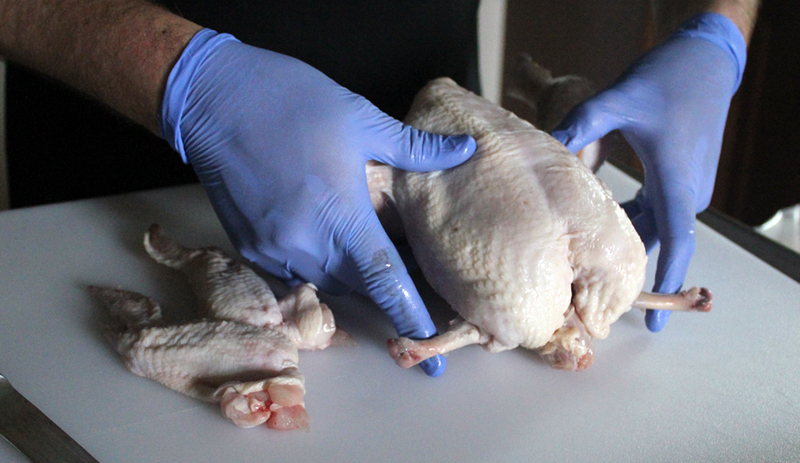 When it comes to food, there’s no better way to save, than to do your own butchering. I can buy a case of 16 whole chickens for around $60, and then break the case down in a few minutes. This may seem scary to a lot of people, but I assure you, it’s a lot easier than you may think. All it takes is a little experience, and the only way to get that, is to do it! 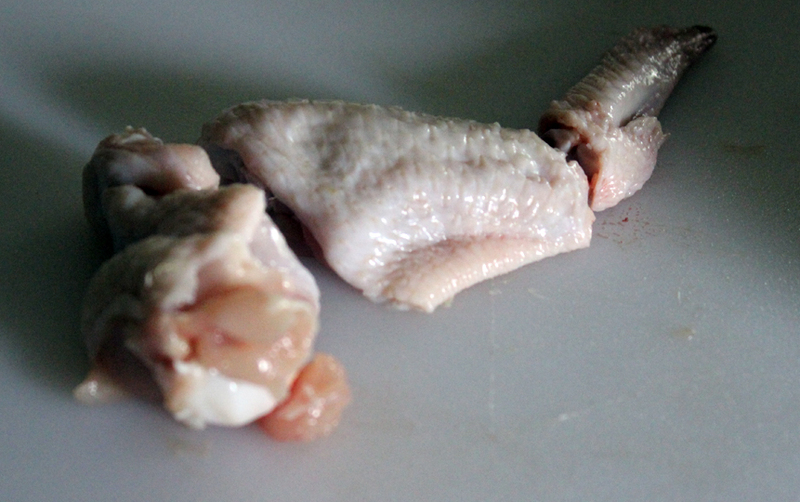 Chicken’s are the easiest place to start. They’re small, and easily manipulated. 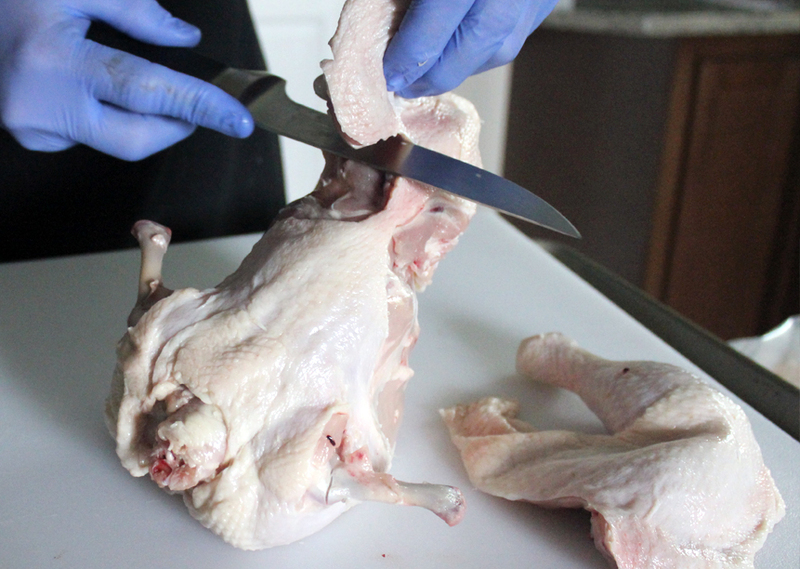 All you need is a sharp boning knife, a cutting board, and your birds. 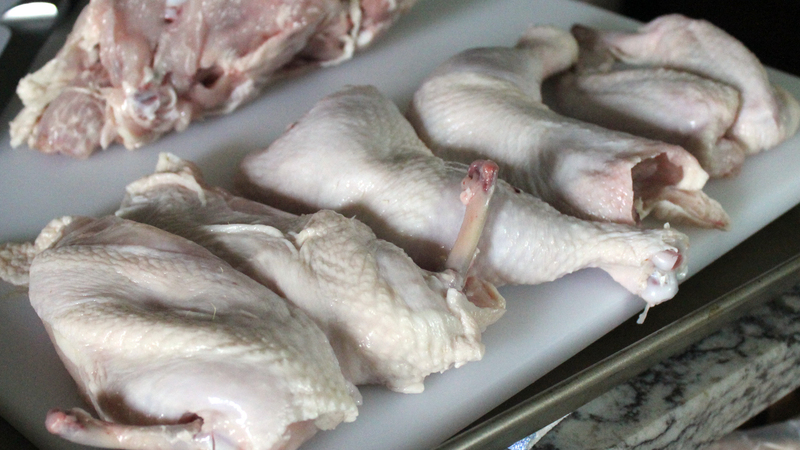 This method works with almost any fowl. 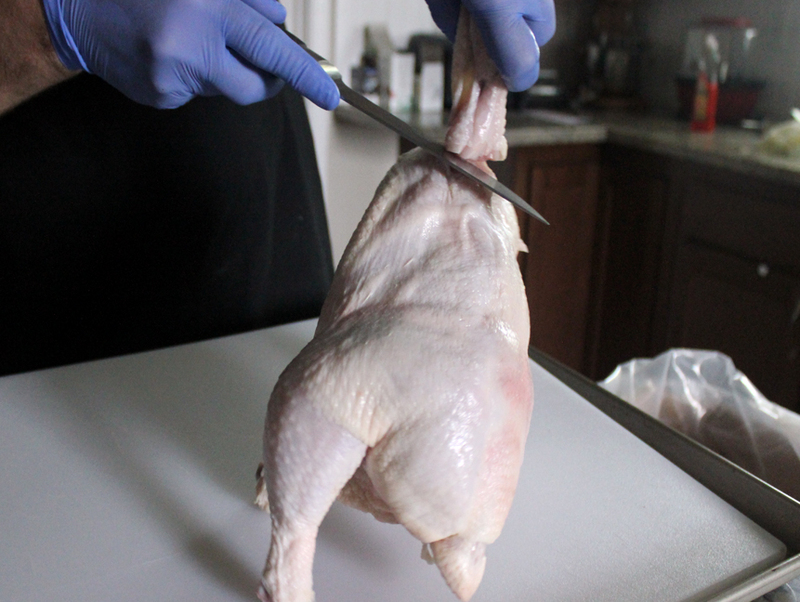 First thing you’re going to want to do, is make an incision around the “Shoulder” of the bird. 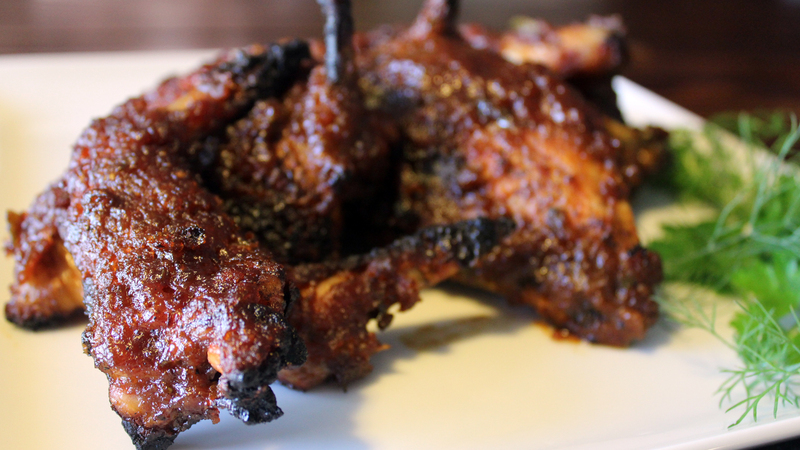 This frees up the wing meat. 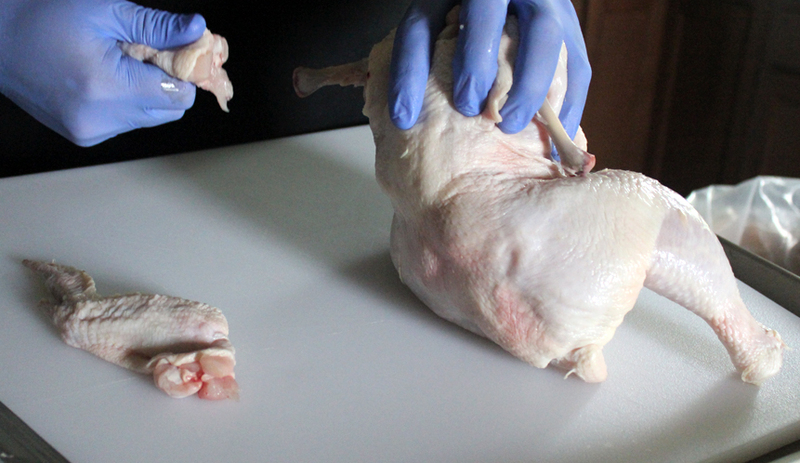 Now, pop the “elbow” joints. 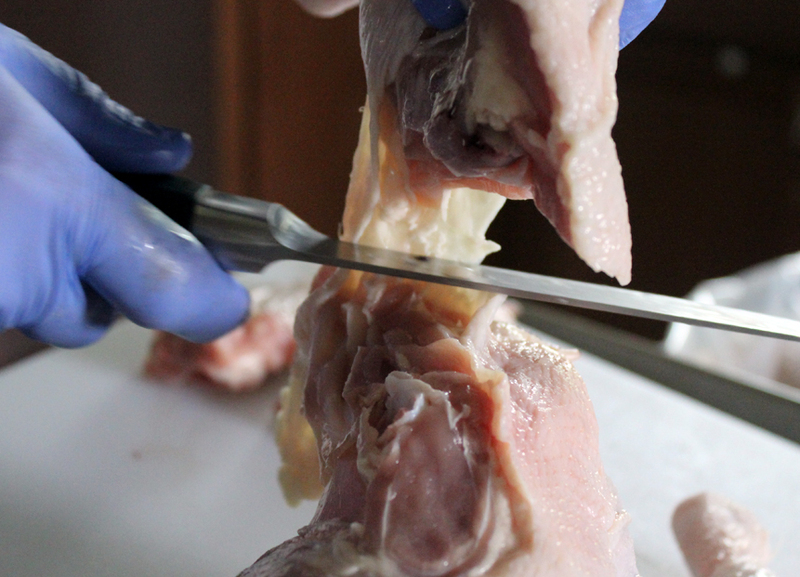 Grasp the wings firmly, and pull in a twisting motion to pull the wing off, leaving a clean exposed bone. 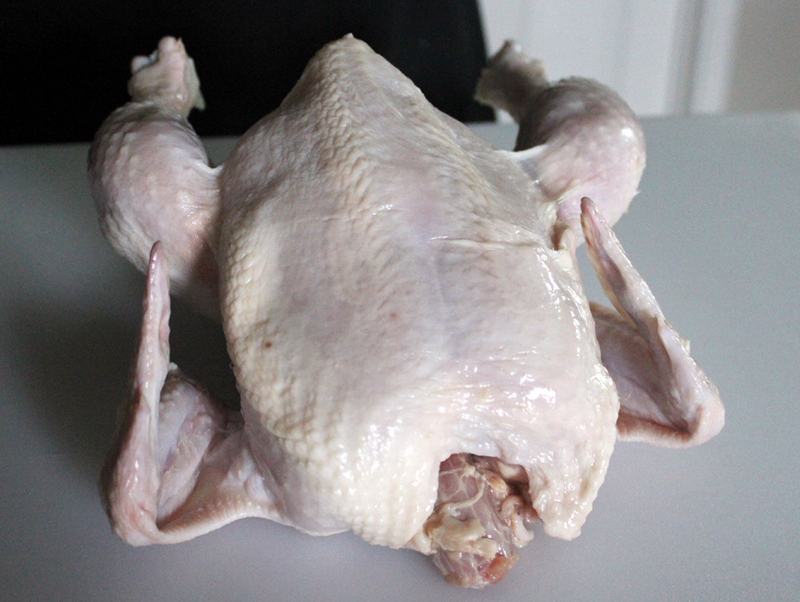 This is called an airline breast. 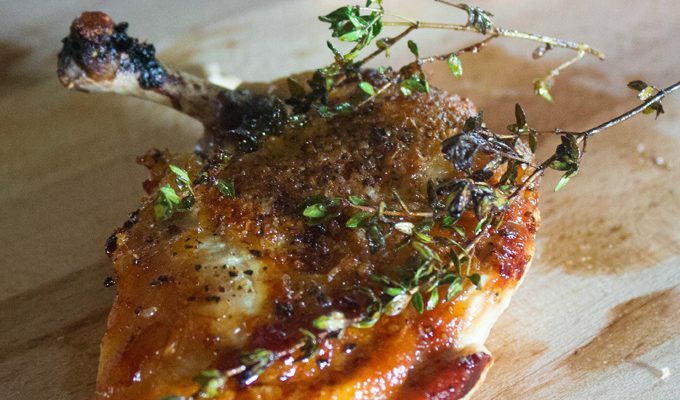 This allows for a pretty presentation point when cooking. 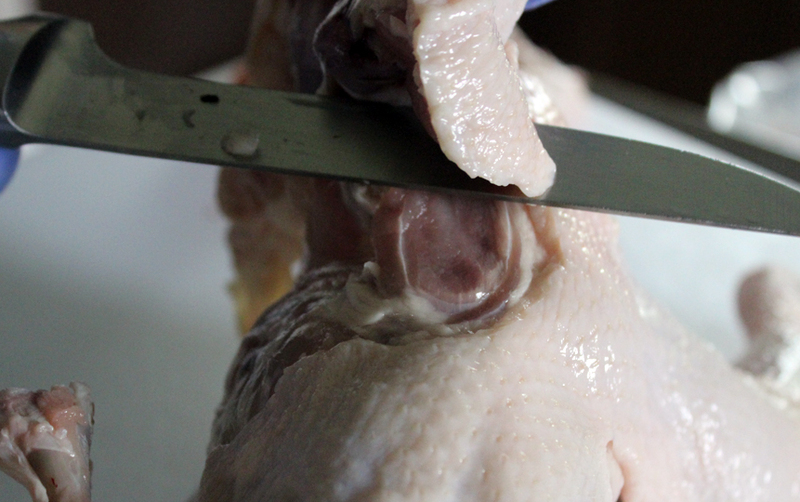 If leaving the bone on isn’t your thing, you can also cut the wing off at the joint. 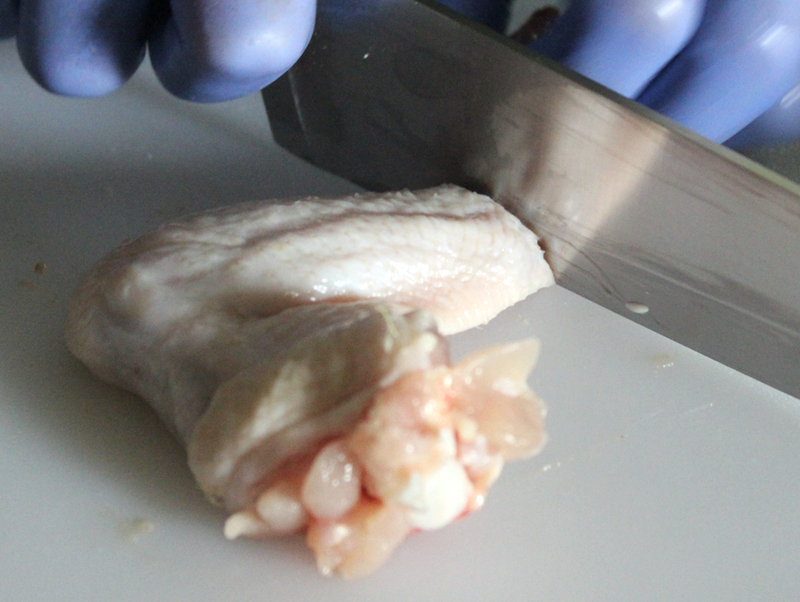 This allows you to cut the wing into it’s flat and drum sections for fried wings, and also allows for a boneless breast. 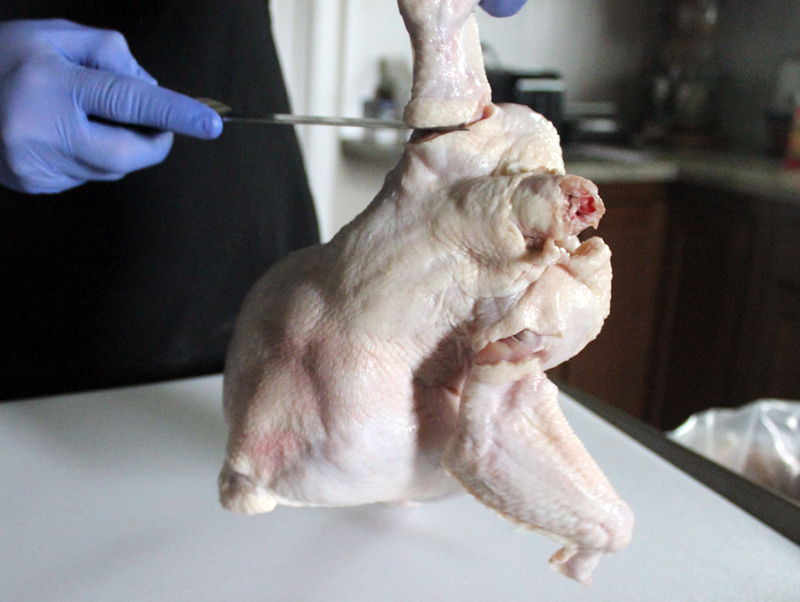 Next we remove the legs. 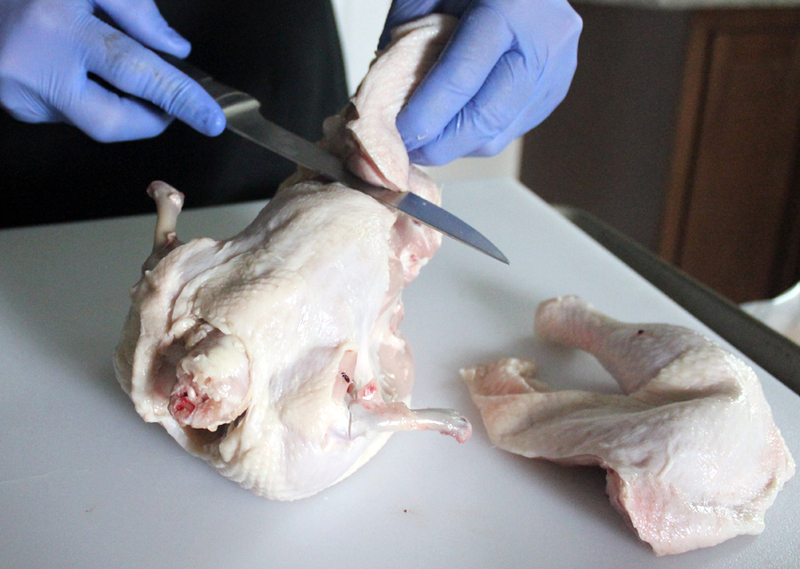 Cut the skin that connects the legs to the breast. 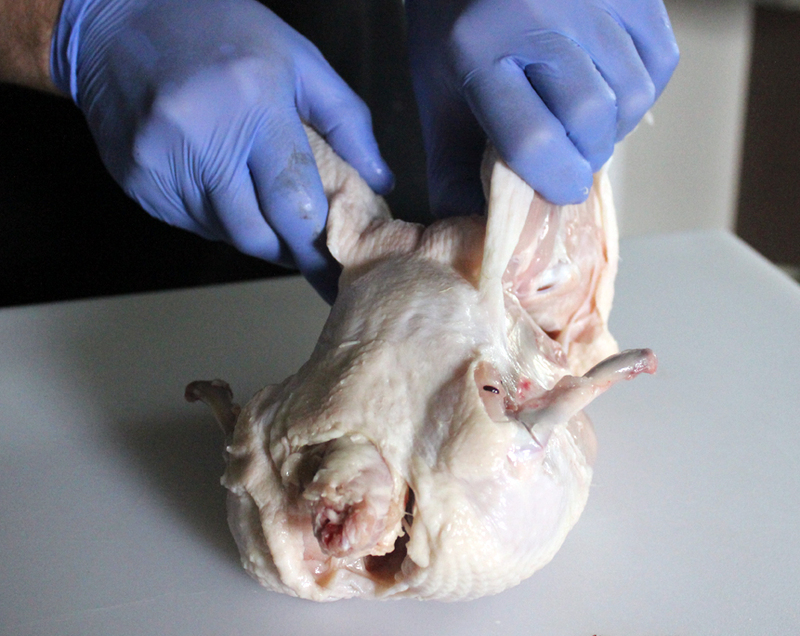 Flip the chicken over, and grab the legs firmly. Bend them, popping the joints out. 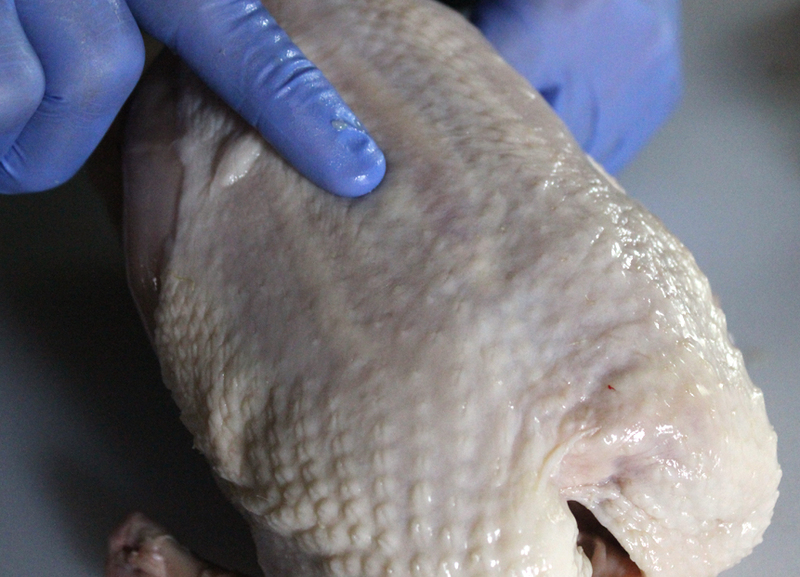 There’s a piece in the thigh referred to as “the oyster” that is absolutely delicious. Make sure you keep as much of that oyster on as possible. My grandfather used to always say you can tell how good a butcher is by how much oyster is left. 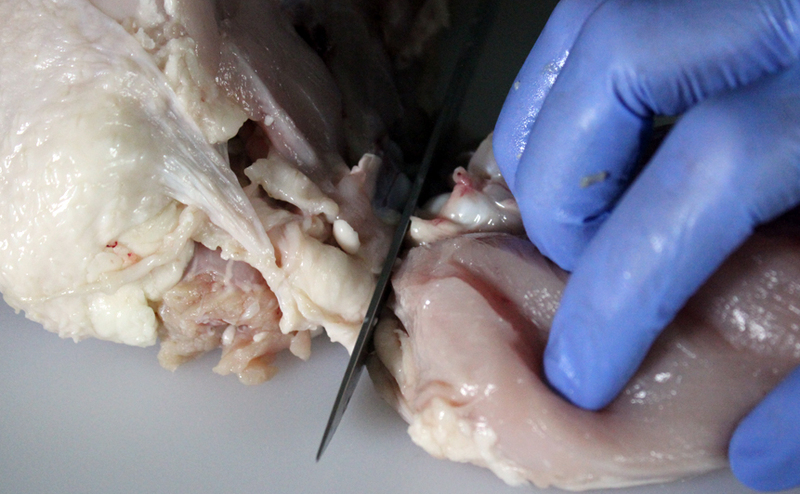 Make your first incision in front of and under the oyster. 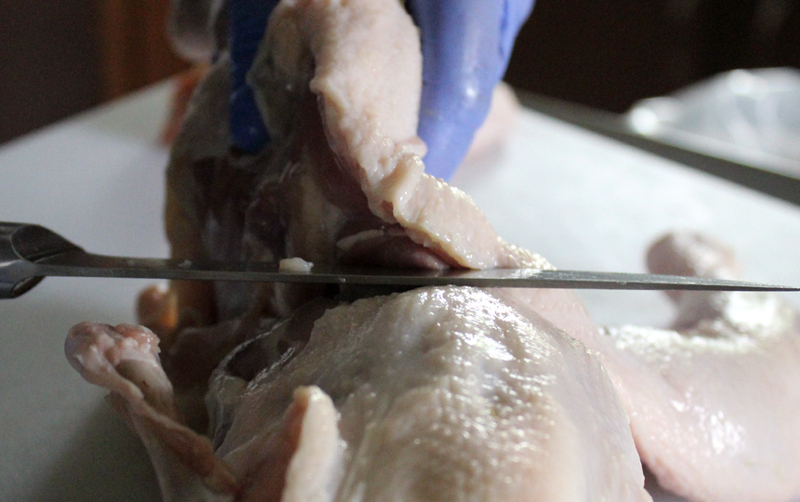 Follow the seam along the back until your leg is free. Repeat to the other side. 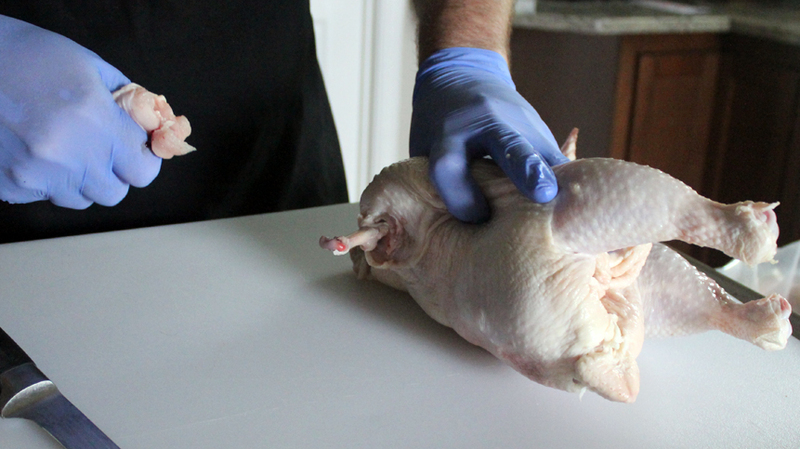 Flip the Chicken front back over so the breasts are back on top. Find the keel bone in the center. 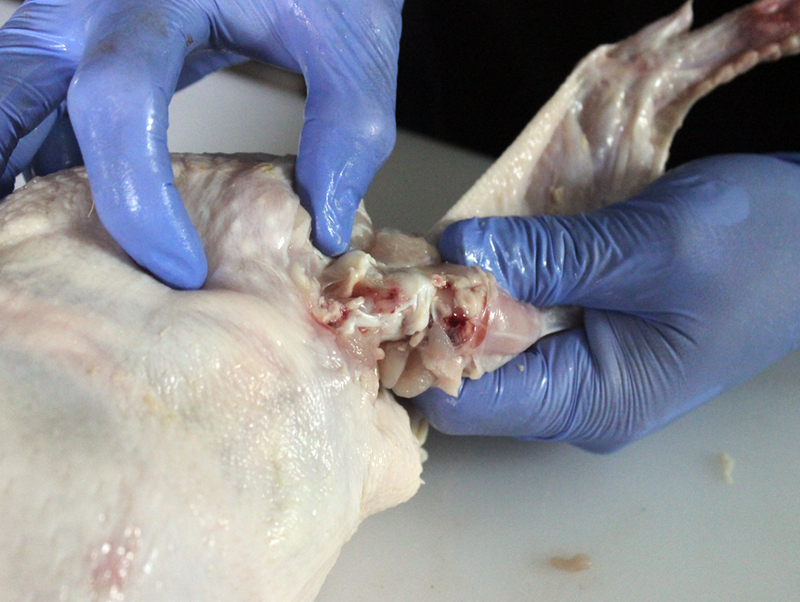 Make an incision through the skin along this bone. 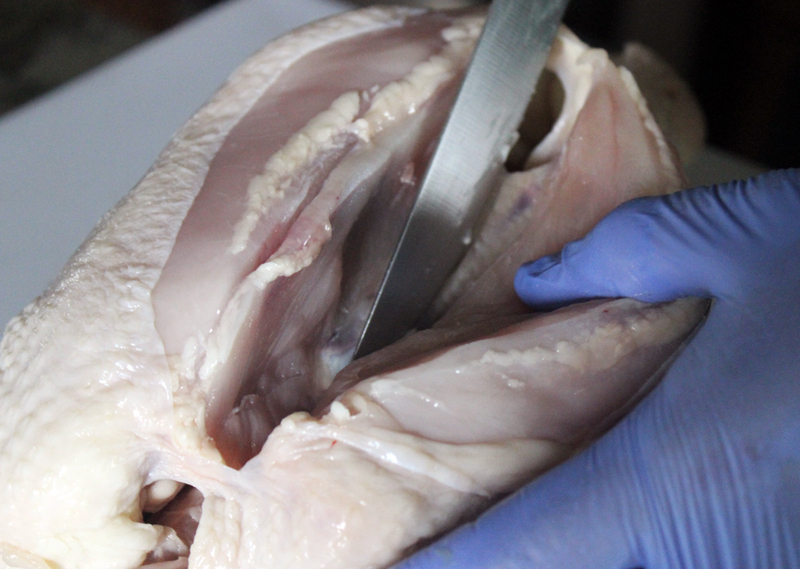 Once again following the natural seam, just draw the tip of your blade along the bone to free up the breast. 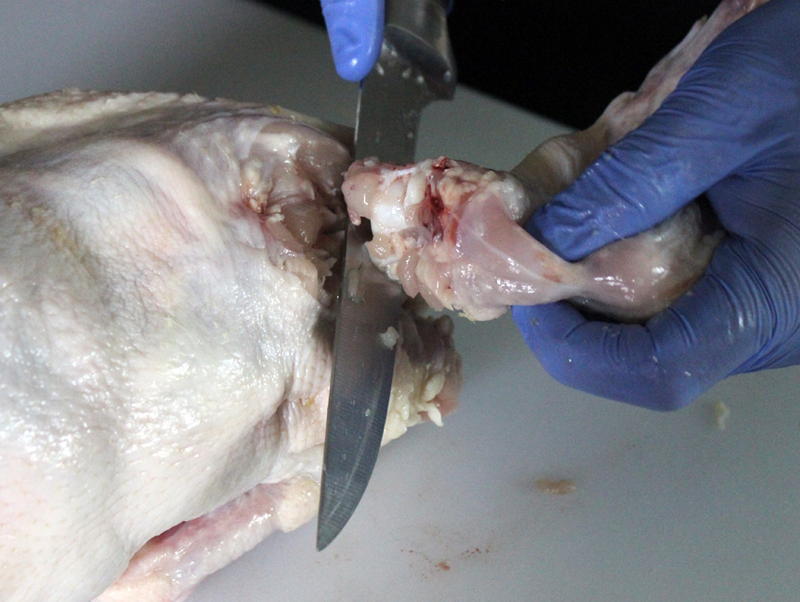 Find the joint, and pop it out, then cut the rest off. Repeat with the opposite side. I’ve included a couple videos this time so you can see the process from start to finish. I’ve slowed down to show you, but it’s still faster than you may be able to do the first time. Don’t worry. Like i said, it takes some practice. 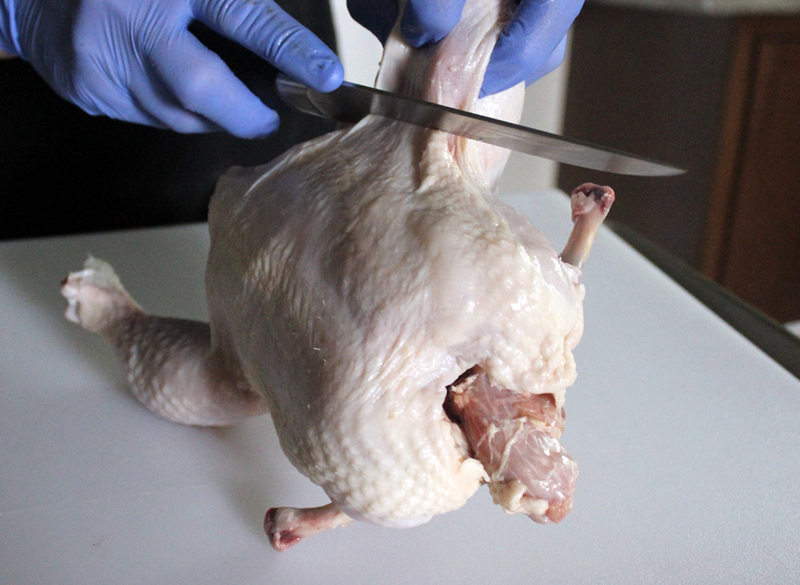 Don’t try to break the chicken down in 10 seconds your first time.